The perfect bag for sending catalogues and brochures without exposing them to the elements. These postal-approved mailing bags are approved for use with automation rate flat mailing for either the FSM100 or FSM1000 machines. 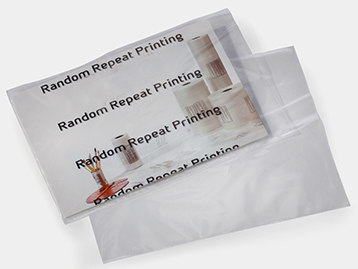 Our Mailing Bags are certified to be used by the US Postal Service USPS for any mailings. We offer both peel-n-seal direct mailers (lip and tape mailing bags) and regular tape sealed direct mailers. Perfect for mailing magazines, catalogues and many other types of literature. These postal approved mailers are for self sealing with a peel n seal closure.